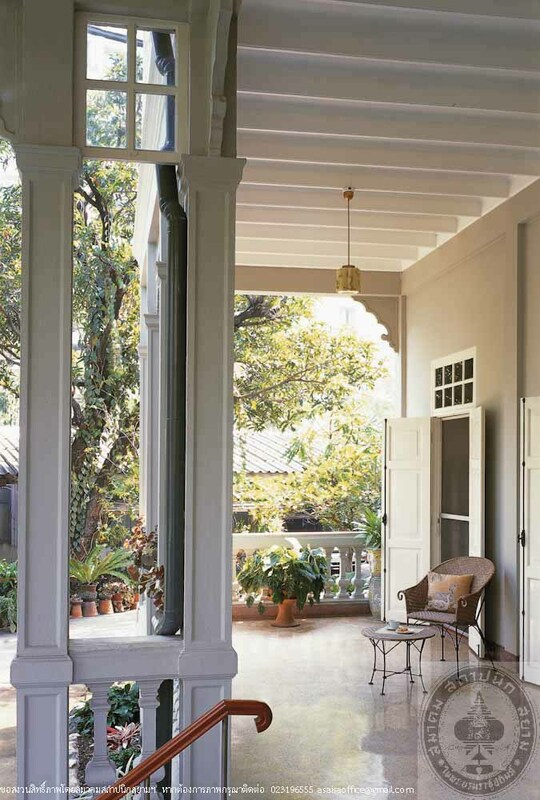 House No.19, South Sathon Road is a 2-storey wooden house of Colonial style, hipped roof with a hipped gable entrance portico. The décor is simple, emphasizing on openness and comfort with high ceilings, wooden stairs and floors. 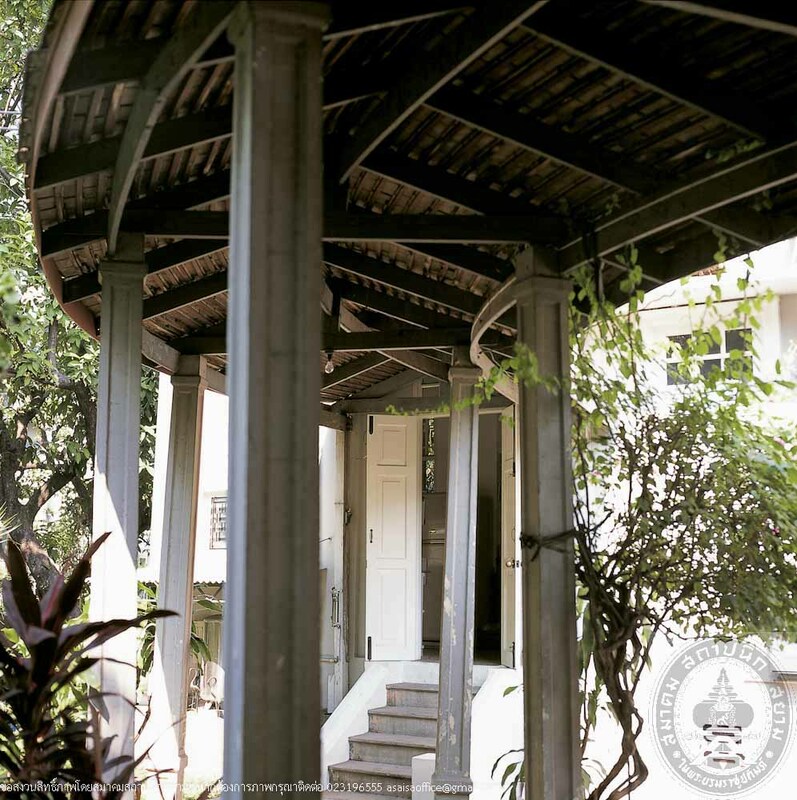 The well-maintained house and landscape, complemented by lush and green atmosphere, enhance the beauty and liveliness of the place which has existed more than 60 years in the course of time. The history of construction is unknown; however, it is told that in this area, there were 4 buildings of the same design including no.19. Two of them were located in the front area adjacent to the road, while the other 2 houses were located at the rear. Presentlt, only one house remains whereas others were demolished to make room for high rise buildings (Thai Wah Tower). 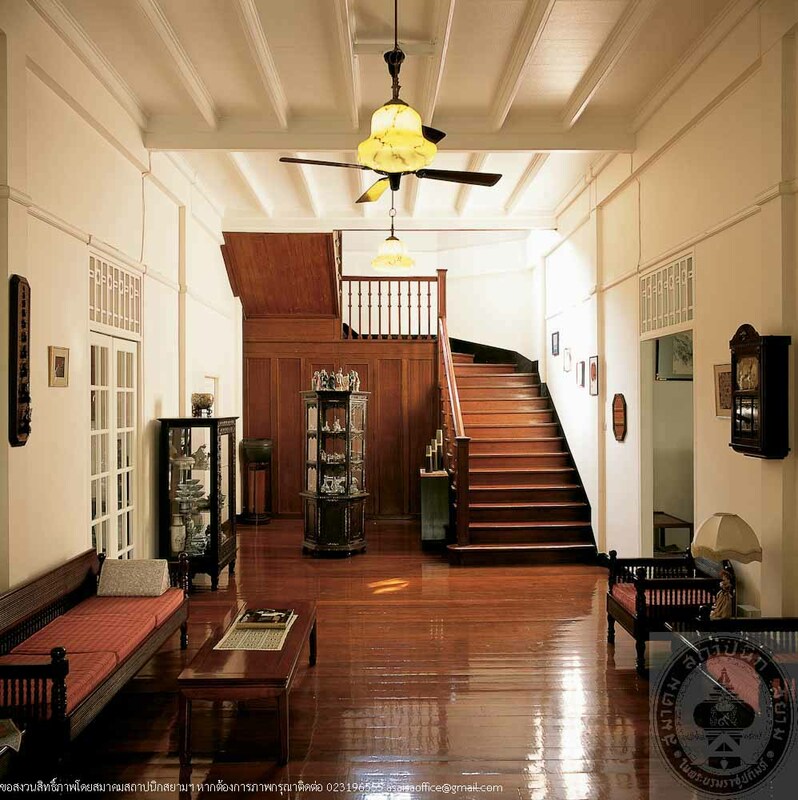 Parents of the present owner, Mr. Chao and Mrs. Prapha Chaiwat, bought the house from Mrs. Si Unsiri on 29thMarch, 1945. 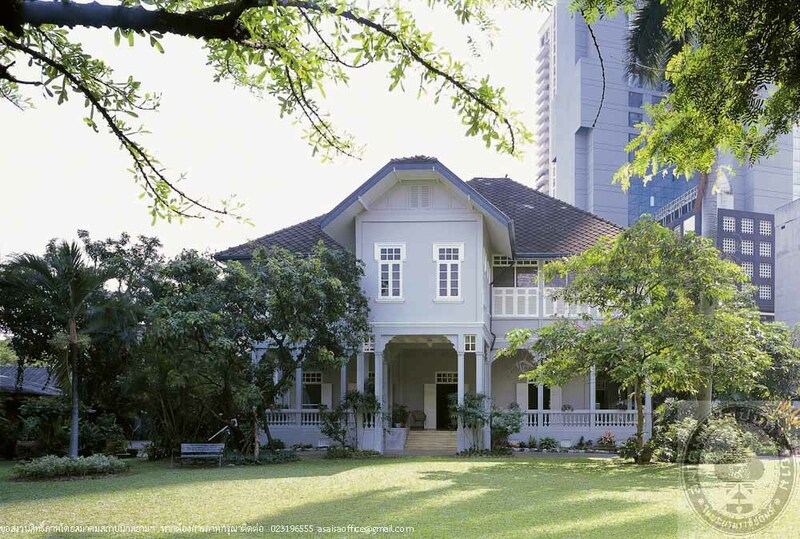 From the Property Certificate No.5029 issued on 16thNovember, 1941, the first owner specified in the document was Miss Sitan, daughter of Mr. Tan and Mrs. Siam Siao Kong. 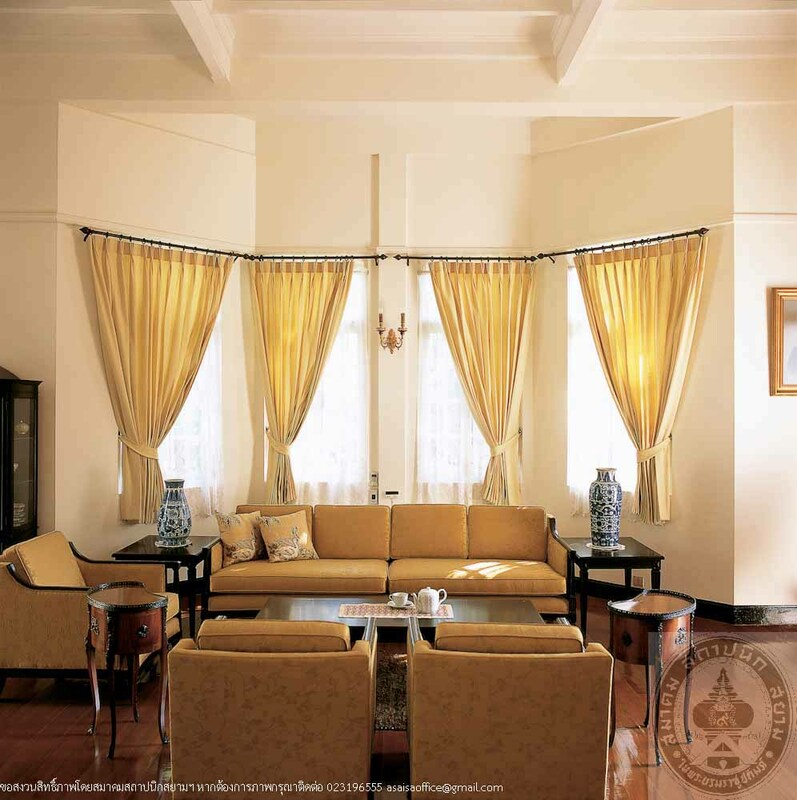 On 14th July 1975, Mr. Chit Chaiwat inherited the house from his father who passed away. Khun Chit andfamily lived in the house and maintained the house by general repairs until 2006 when the owner had a major restoration and repaint carried out by Mr. Bun Sae Tang, contractor. The care and attention of the owner has made the house exist in pride and dignity to this day.